Forget the high carb stuffing! 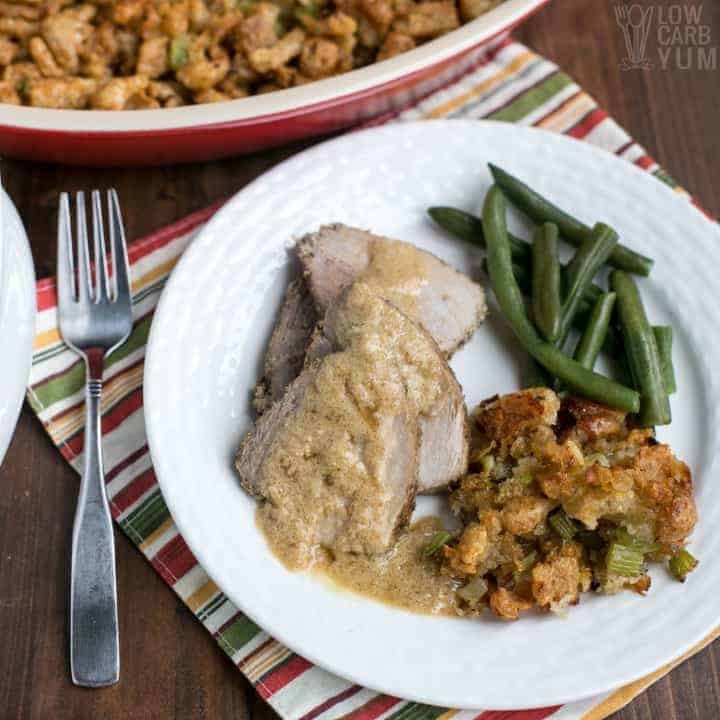 It’s simple to make your own paleo low carb stuffing for poultry or to serve as a side dish using keto friendly ingredients. Can you believe it’s already the holiday season again? I love this time of year, but once it hits, it seems to go by too quickly. 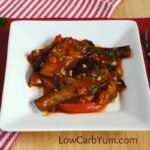 And, in the past, I’ve never seemed to be able to get those seasonal recipes up in time like yummy low carb pie recipes. 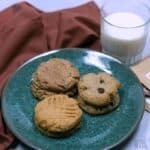 Since leaving my full-time engineering job earlier this year, I’ve been able to better plan out the recipes to publish on this site. Before, I was always last minute trying to get the recipes tested, photographed, and written. But now I’m able to get things ready at least a few weeks in advanced. 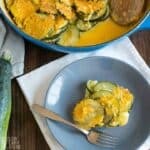 This year, I’m finally posting a low carb stuffing recipe for Thanksgiving. 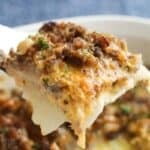 It’s hard to believe that it took over eight years to finally get a keto friendly version of this traditional holiday side dish on this website. Especially since it’s incredibly easy to make. With this recipe you get the texture and taste similar to one made with bread. However, there’s no need to make make or buy a low carb bread. Why? 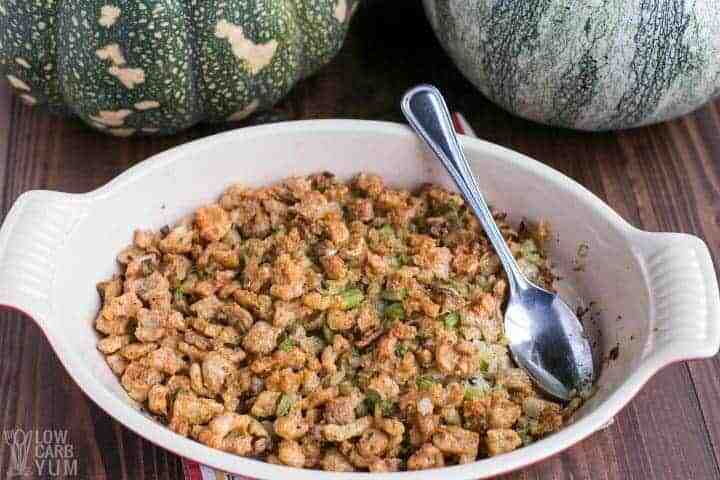 Because this version of keto stuffing uses crumbled pork rinds instead! 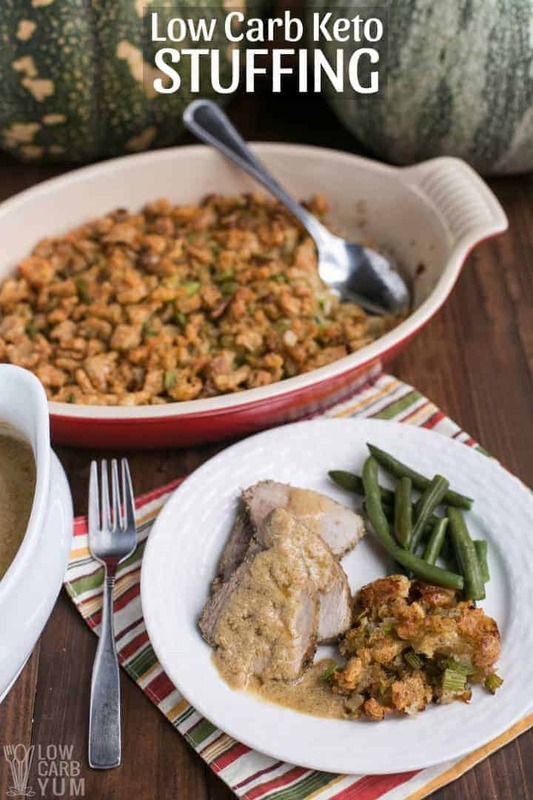 Other than using pork rinds, the ingredients used in the recipe are pretty standard for a stuffing recipe. However, to make this a dairy-free paleo stuffing, I used butter flavored coconut oil. But, if you can tolerate dairy, it’s fine to use butter. Ghee is another option for paleo. I opted to use the higher quality low fat Epic pork rinds. They are a bit more expensive than standard ones, but I find it’s worth the cost. These rinds are just baked pork skins with pork fat, pink Himalayan sea salt, and sea salt. The pork used in the Epic brand is pastured and antibiotic free. Plus, the lower fat content is better for a low carb stuffing in my opinion. However, if you are on a tight budget and can’t afford the cost, regular pork rinds are fine to use too. 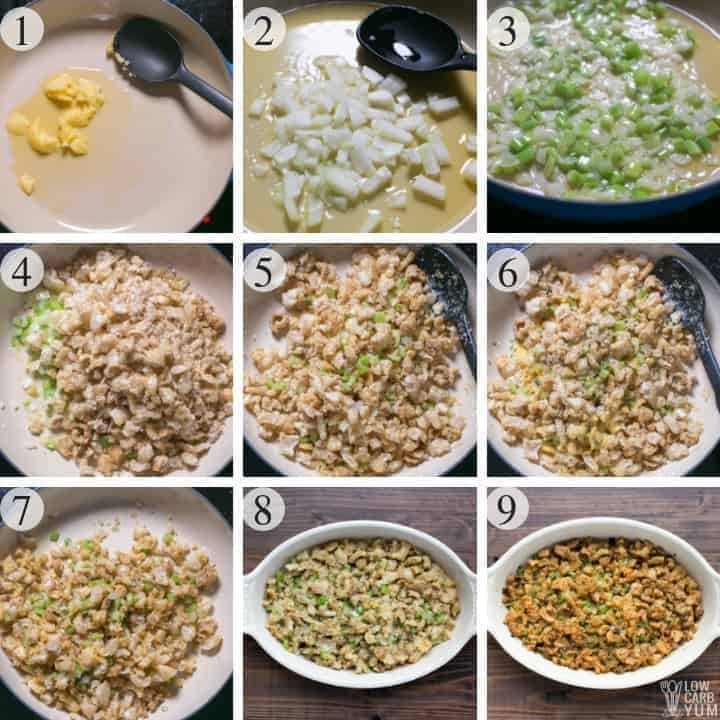 Other ingredients used are onion, celery, egg, broth, and spices. For the spice blend, I used the sage and thyme. A poultry seasoning mix can be used in place of the sage if desired and parsley can be added to brighten the flavor. Now that you’ve seen what goes into the low carb stuffing, let’s take a look at the prep work involved to make it. To start, a large skillet is heated an medium high heat to melt the butter flavored coconut oil (or butter or ghee). Next the diced onions and celery are added until they get soft. The pork rinds are added next and stirred in to combine with the onions and celery. Then, the beaten egg is drizzled over top and stirred in until well incorporated. Next, the broth is stirred in and the pork rinds should absorb it. Once the broth has been incorporated, the seasonings are sprinkled on and blended in. The mixture is then either spooned into a casserole dish or stuffed into poultry before baking. In a casserole dish, it’s baked for about an hour at 325°F. You can actually make your own low carb stuffing mix using pork rinds if you are used to the stove top instant variety that comes in a bag or box. That’s the kind of stuffing we always had at my family Thanksgiving dinners. This homemade seasoning blend can be made ahead to save prep time when you’re ready to make the instant paleo stuffing. To prepare the stuffing, simply combine 1 cup water and pre-made seasoning mix with 3 tablespoons of butter flavored coconut oil or butter or ghee in a medium saucepan and heat until boiling. Once the water has boiled, heat is reduced and allowed to simmer and cooked for about 5 minutes. Then 3.5 to 4 ounces of broken up pork rinds are added, stirred and cooked 1-2 minutes until the liquid is absorbed. It’s best to use a fork to fluff up the pork rinds as the liquid is absorbed. The saucepan is removed from the heat and covered. After standing for about 5 minutes, the keto stuffing can be fluffed up and served. I’ve seen a lot of recipes using cauliflower in place of the bread so that’s an option if you want a vegan or vegetarian stuffing. However, the taste and texture won’t be as close to the real thing. 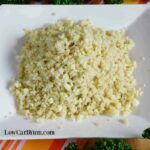 If you have the time, you can make your own low carb croutons using a quick and easy english muffin in a minute recipe. My friend Mira over at My PCOS Kitchen shows you how to make homemade croutons. 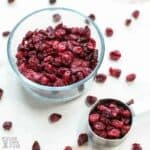 You can also add in nuts and sausage or even some sugar free dried cranberries if you aren’t worried about the added carbs. But out of all the low carb alternatives, I believe pork rinds are the best. 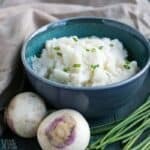 Enjoy this easy to make traditional Thanksgiving side dish! And let us know what you think of the recipe in the comment section below if you do give it a try. Forget the high carb stuffing! 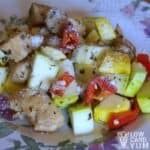 It's simple to make your own keto paleo stuffing for poultry or to serve as a side dish using keto friendly ingredients. In a large skillet, heat the butter flavored coconut oil over medium high heat. Once melted, cook the onion and celery in it until the celery is softened. Remove pan from heat. Stir in the pork rinds until well blended in. Then pour in the beaten egg and stir until it's evenly mixed in. Stir in the broth and stir to allow the pork rinds to absorb the liquid. 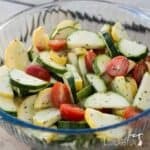 Sprinkle in the seasonings then spoon into a casserole pan or stuff into chicken or turkey before baking. For cooking the stuffing in a casserole dish, it should be baked at 325°F for about 1 hour. If stuffed into poultry, cook as you would a regular bread stuffing. Enjoy! I used Epic Pork Rinds which are lower in fat than regular ones. Although you can use regular ones, I find the ones lower in fat work out better for both taste and texture. To change up the taste, you can add sausage and other seasonings. After adding the pork rinds, make sure the pan has cooled enough so the egg doesn't cook. The egg should be absorbed by the pork rinds and not turn into cooked scrambled eggs. The pork rinds you used, are they the really super crunchy hard kind, or are the more fluffy, like there’s air in them? Sounds silly I know, but I want to try this and I can only get 2 brands here in ON, that I know of. One is really fluffy but crisp. The other is super crunchy and hard. Which would you suggest? The ones I use are fluffy versus crunchy. I made this for Thanksgiving, I loved it! The had doubts about it being much like stuffing, so I only made a small dish. Sorry I didn’t double it because it was great. Yay! Thanks for writing in to let us know how it turned out! I tried this for Thanksgiving, and it came out super rubbery. I was so disappointed. What did I do wrong? I followed the recipe exactly…Flavors are on point, but we couldn’t even eat it..
It’s likely the pork rinds used. I found that the lower fat Epic brand does best. What can. 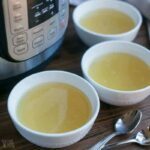 e substituted for bone broth powder? Just use regular bone broth when making the recipe. Looks great! I’m wondering if this could be prepped a day in advance then cooked? It should be fine to do that and I’ll be testing that this week. I’ll be doing it too, so we both shall see LOL! Thanks so much for the recipe:))! I made it a day ahead and it was fine. This sounds great but since no one else in my family would probably eat this, could this be cut down to half or even a fourth? How would I handle the egg? And would the time change for how long to bake it? Thanks! It’s doesn’t make a lot so you could make a half batch and take only half of the beaten egg. The bake time would likely be a little less with a half batch. That is a great idea using pork rinds, and love all the flavors, too. 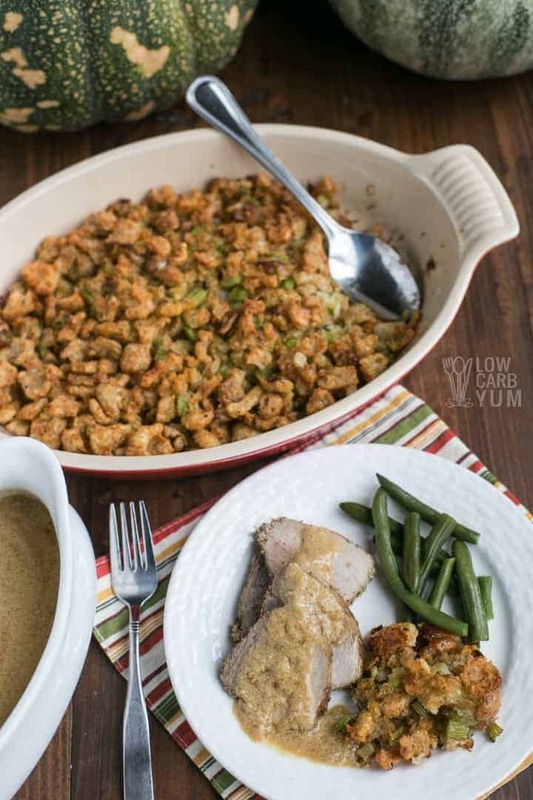 Such a great idea to use pork rinds in stuffing! Love the addition of sage and thyme to this recipe, such great flavors!